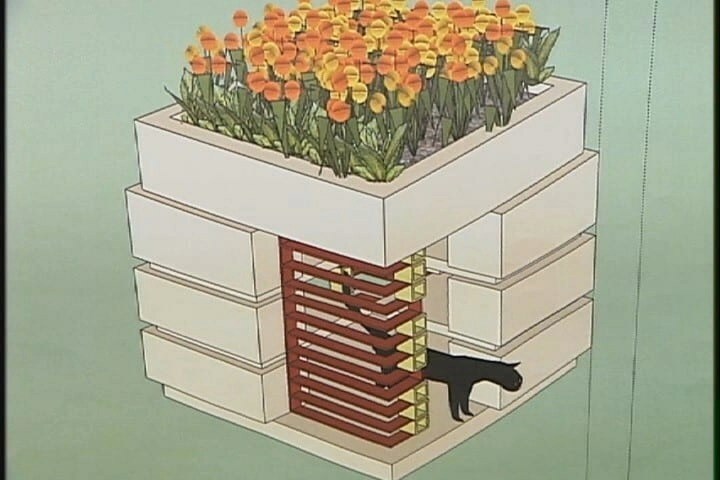 Kudos to Florida Southern College in Lakeland for taking on a trap, neuter, return program and then returning the community university cats to live in a half-dozen or so cat cafes, designed to look like many campus buildings designed by famous architect Frank Lloyd Wright. On campus, there are about 60 feral cats that are being fed by students. The Alpha Chi Omega Sorority will be putting food in the cat cafes in hopes the cats will get used to finding food in the cafes. They are hopeful this will make it easier to trap them. Once they are caught the Lakeland SPCA will bring a mobile facility to the campus to spay, neuter and microchip the cats, which will then be released.. The students will continue to feed the cats once the TNR program has been completed. Once all the cats are spay/neutered, the cat behaviors associated with mating with cease, and since the cats cannot reproduce, over time, the cat population will go down, eventually being reduced to zero cats. That story is particularly refreshing considering all the sensational news stories clamoring that cats are the ‘reason’ for exotic and endangered bird species getting smaller and smaller. These reports are based on limited studies. They also ignore the effect of reduced cover and urban sprawl on the bird population. In the following article, Alley Cat Allies President Becky Robinson points out how effective the Trap, Neuter, Return program has been. She also points to some of the other factors involved in the cat-bird controversy. While Paws for Reflection will be addressing this issue in much more debt, CatNews Friday, shares the following two stories. And if the myth isn’t bad enough, check out the following article written for kids. Paws asks doesn’t this kind of ‘news’ perpetuate cruelty to cats. This is just going way too far with the cat-bird controversy. Cats kill between 1.4 billion and 3.7 billion birds every year in the United States alone, a new report concludes. That’s nearly a billion more birds — at least — than estimated by some previous studies, Peter Marra told Science News. Ever heard of the “drunken sailor walk”, or Feline Cerebellar Hypoplasia, a neurological condition causing newborn kittens to have coordination and balance problems. This happens because the cat’s cerebellum does not fully develop in mother’s womb. The kitten’s lifespan will not be affected, and sometimes, the condition improves with age. It does not progress further, and is not contagious. While some cats may only be slightly impacted, others may have significant trouble getting around, or be unable to walk. Remember, the cat is not sick, weak or hurt, just uncoordinated. The cerebellum’s underdevelopment may be caused if the mother contracted the feline distemper virus while pregnant or if there was trauma to the kittens while they are in the womb. Can feral cats and songbirds coexist? Darwin, unfortunately, was a dog person and seemed to dislike cats. I haven’t been able to find much information on Darwin and felids, and my inquiries to Janet Browne, the preeminent biographer of Darwin, have yielded bupkes. But loyal ..
**Are Dogs Really Smarter than Cats? Cats, by contrast, march to their own drummer and any cat owner knows that “their humans” rush to oblige every anticipated need, grateful for the slightest signal of approval. It was formerly believed that this absence of needing attention was a sign ..
Not everyone likes Salton’s cats. The town of Mayfield, near Gloversville and Great Sacandaga Lake, is moving to have the animals evicted, an apparent response to residents of a cul-de-sac who don’t want such large — and potentially dangerous ..
What do you think of these cat cafes? They sound aesthetically pleasing while helping the cats? Do you have stories to share about a group that has taken on a successful TNR program in your community? What do you think of the cat-bird controversy? Please share your thoughts. 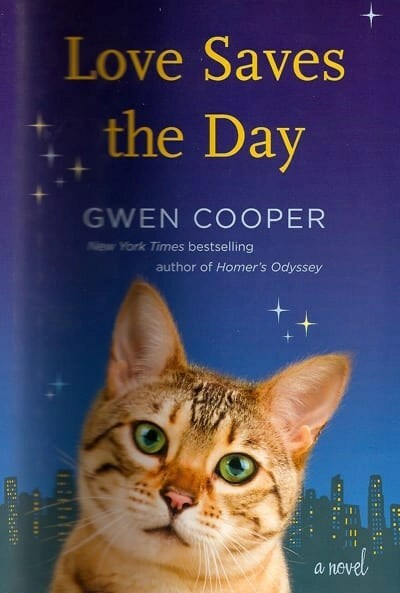 Also don’t forget all new subscribers to Paws for Reflection in February will be entered into a drawing for a copy of Gwen Cooper’s fantastic new novel: Love Saves the Day. Sign up today, and suggest your feline loving friends, do so too.